Let’s look at the beautiful skirts, dresses and gowns from Duro Oluwo for his ready-to-wear Spring collection. I am always excited to see his new designs as he never disappoints. Olowu’s designs look always familiar, printastic, elegant, chic and stylish. This collection makes me feel like I am looking at African high society women from the fifties. All the looks are so bold, confident and glamorous. And these dots – who would have thought that dresses with big yellow or black dots can look so fabulous?! 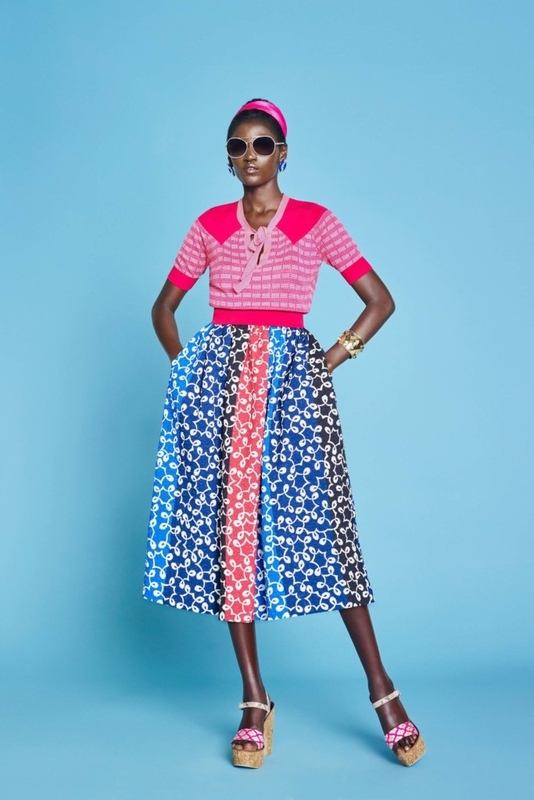 What I also like about Duro Olowu is that he doesn’t shy away from using black models. Sad to say, but not many designers in his luxury price segment are doing that. How do you like his collection? Please comment below!